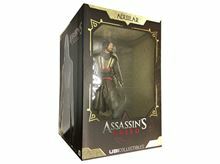 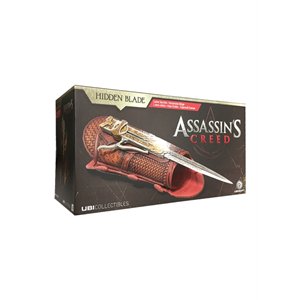 The Assassin's Creed Movie Hidden Gauntlet Replica is a full size adult role-play replica designed from movie prop used in the Assassin's Creed movie. 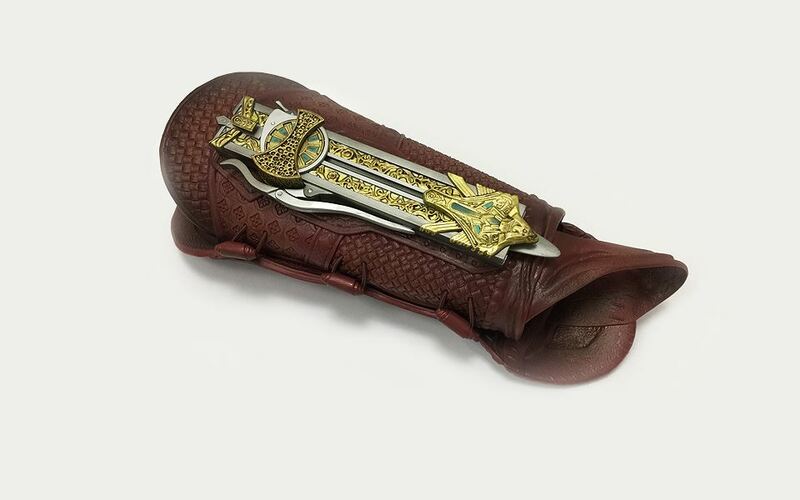 The gauntlet features button activated play-action, and an extending hidden blade. 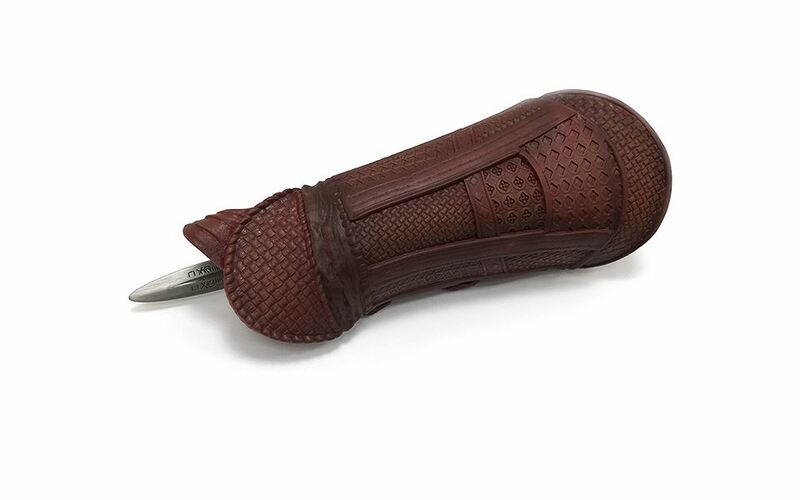 Easy-to-use slip-on gauntlet with cinch cord for a comfortable fit around all adult arm size. 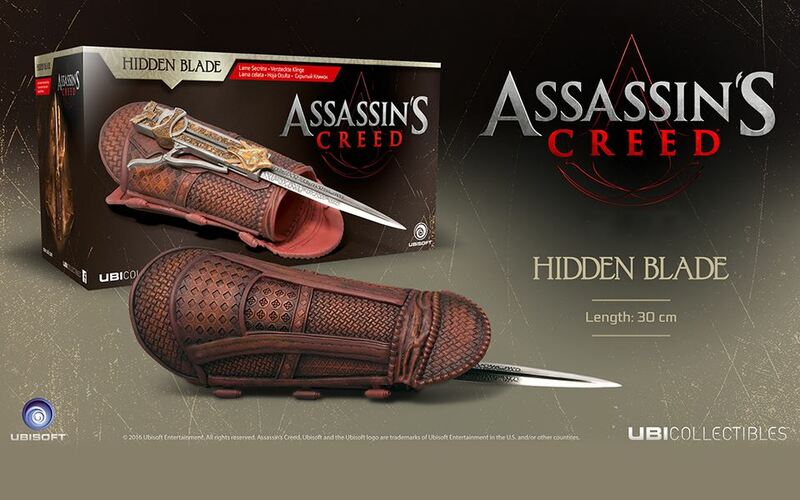 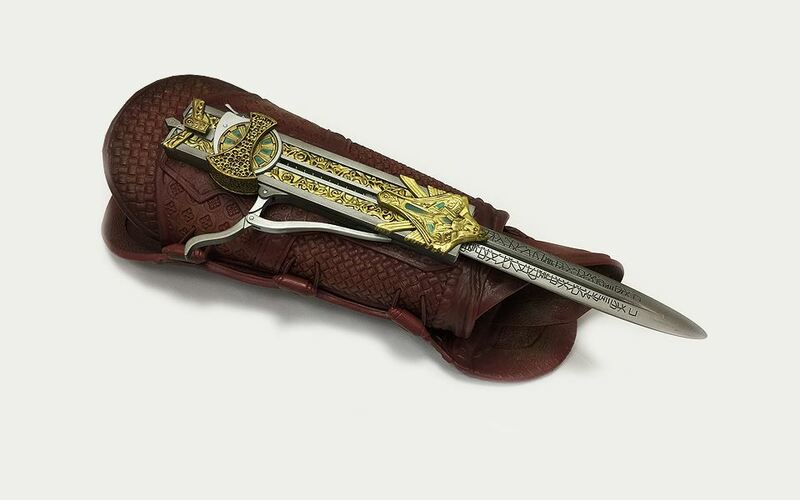 The hidden blade gauntlet retracted measures 9-inches long, and the blade extended measures 14-inches long.